I LOVE to meet with any person who wants to try something new --- who wants guidance and planning. 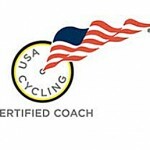 Coaching seminars in Puget Sound, Washington 16 yrs. 2009 Ironman Canada athlete, 4th place age group. Narrows Bridge Swim – Just because it was there! Age Group Winner Subaru Women’s Triathlon 2005-2010.